All right! It’s finally Easter crafts time on Hands Occupied! I’m starting things off with an easy (and a little adorable) tea light candle DIY. 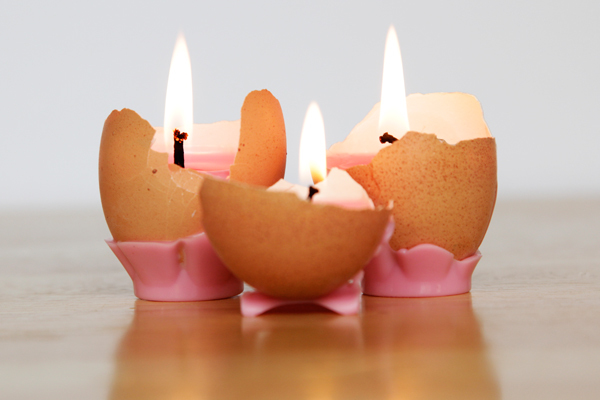 These sweet little dudes are made with eggshells and a combo of scrap wax from old candles and soy wax flakes. They’re a great way to recycle household items, and they are the perfect Easter table accent. Bonus: they don’t take long to make. 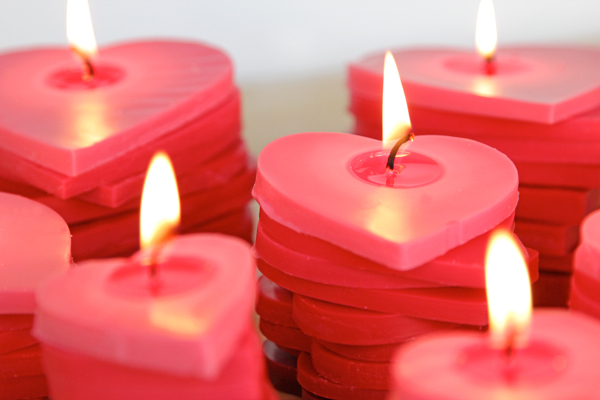 Valentine’s Day is the perfect holiday to celebrate by making a set of romantic and unique candles like these. 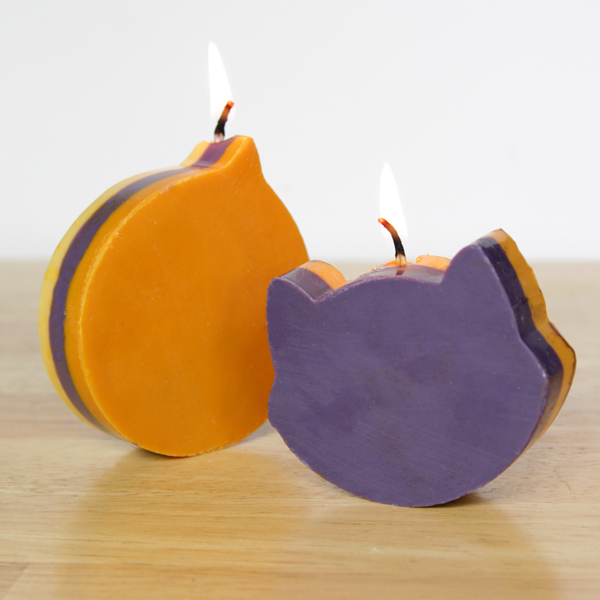 I learned how to make candles with cookie cutters for Halloween last year, but these layered ombre candles take cookie cutter candle making to another level! 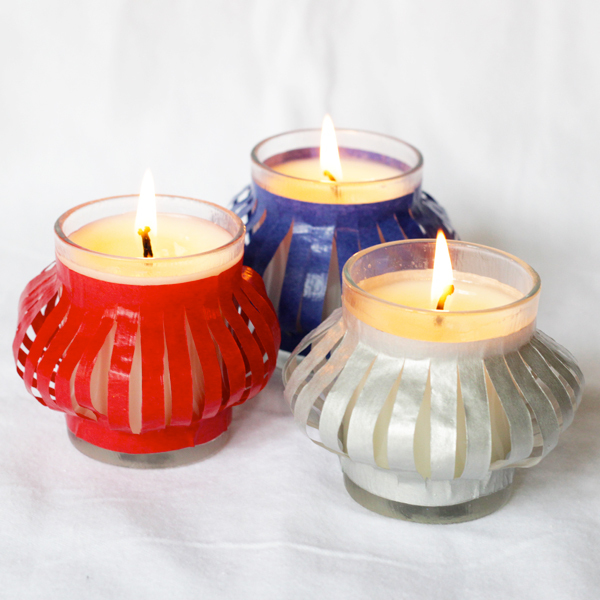 Take DIY candles to a whole new level with differently-colored layers! 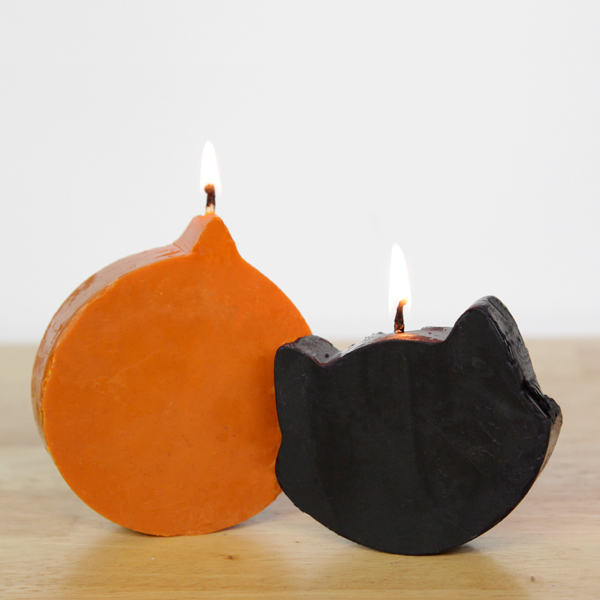 DIY adorable pumpkin spice candles with your stash of holiday cookie cutters! Learn the nuts & bolts of candle making in this video tutorial!